A rare New Year's Eve storm brought snow to the high country of the Four Peaks Wilderness near Fountain Hills, AZ. 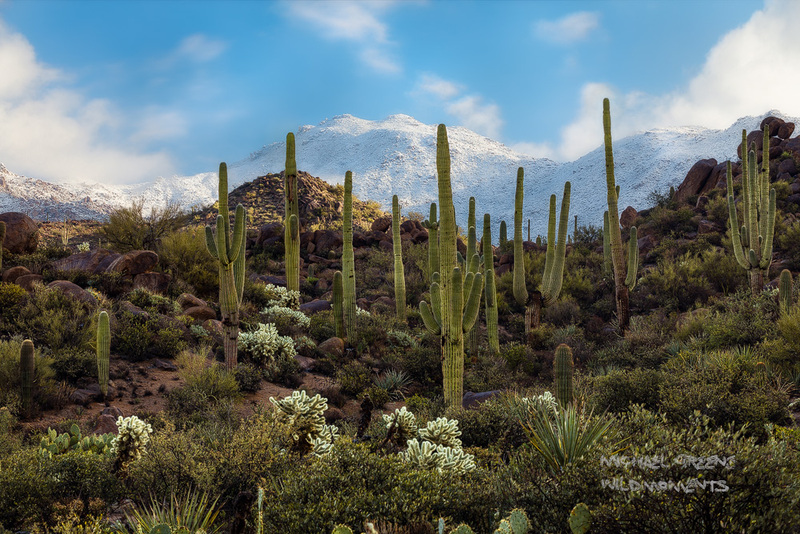 My search for snow-covered saguaros brought me to this delightful stand displayed in beautiful conditions. Photo © copyright by Michael Greene.